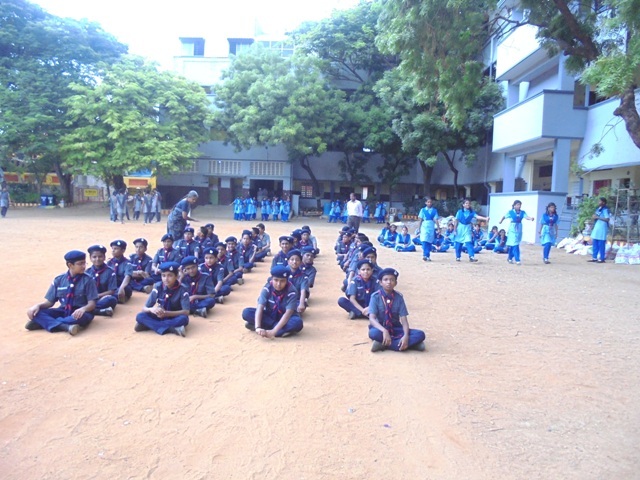 With 32 Students as a members Bharat Scouts and Guides training successfully launched in our school in the month of June 2014 under the guidance of Guide Teacher Smt.Reim. 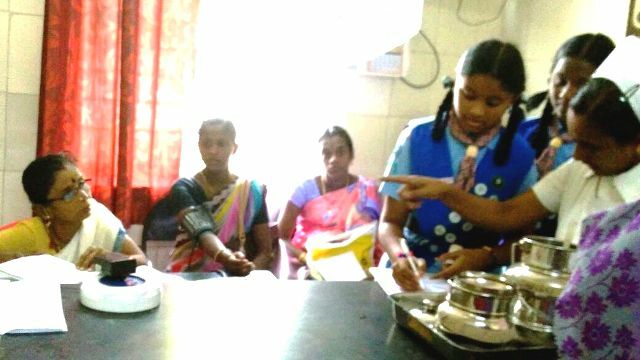 On 17.08.2017, our Scouts and Guides students went to Primary Health Centre, Korattur for rendering service as part of their Scouts and Guides activity. 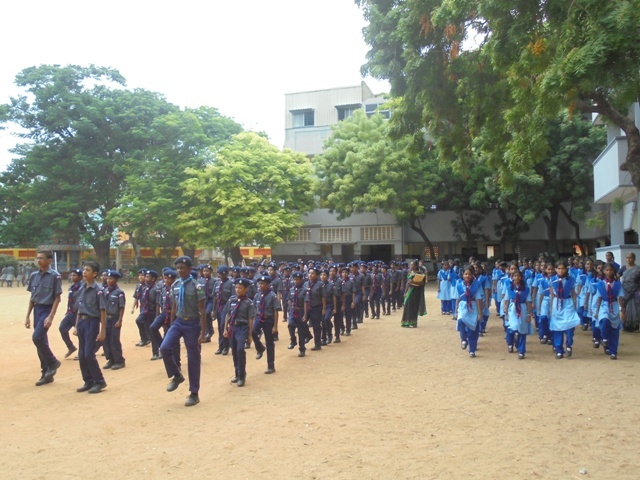 From this academic year 2017-2018 ‘Scouts and Guides’ was introduced to all the students of class VII. 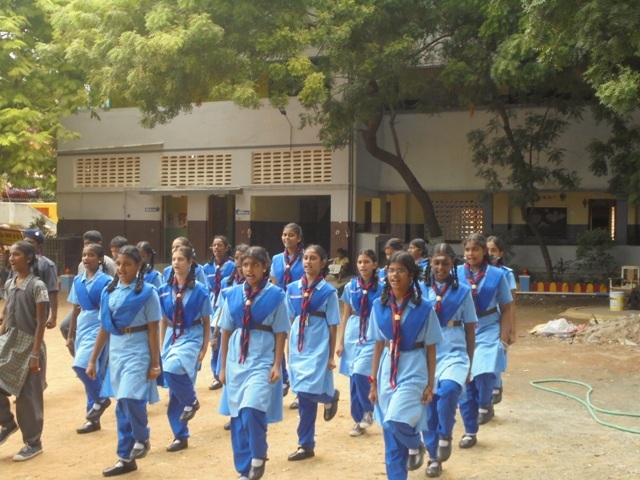 Every Saturday there will be Scouts and Guides training programme in our school premises headed by Smt.Reim Gopi. 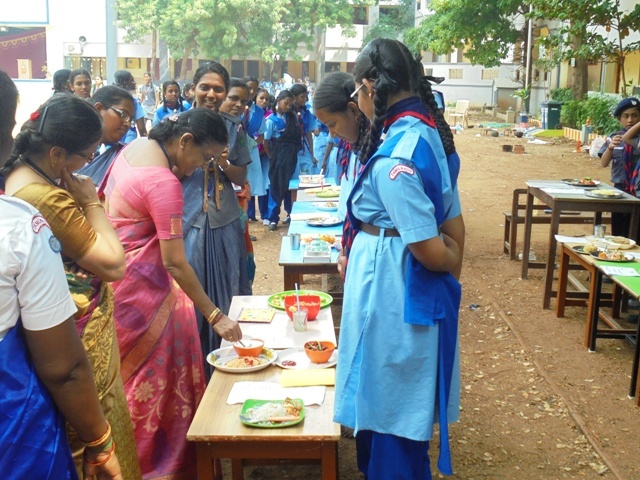 One day camp was organized by Saraswathi Vidya Mandhir on 22.11.2014. 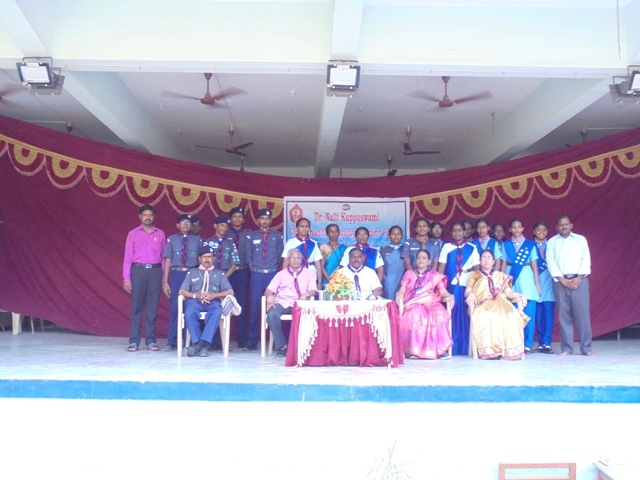 Cultural show, Art & Craft activities, Camp fire programme were Conducted. Sri N.R. 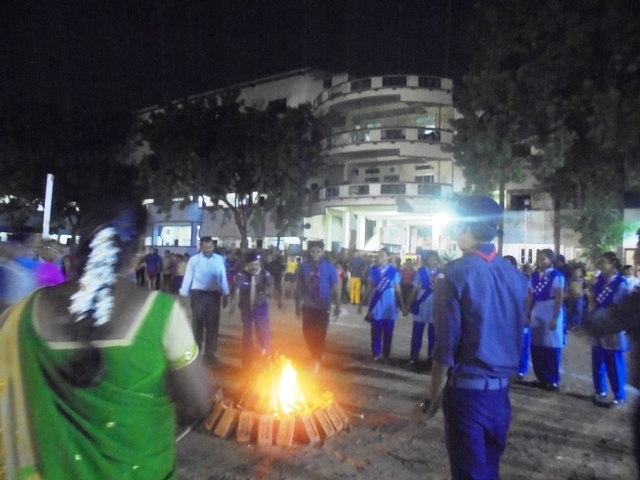 Narendranath Correspondent Dr. N.K.V.V lit the camp fire and encourages the scouts and guide children. 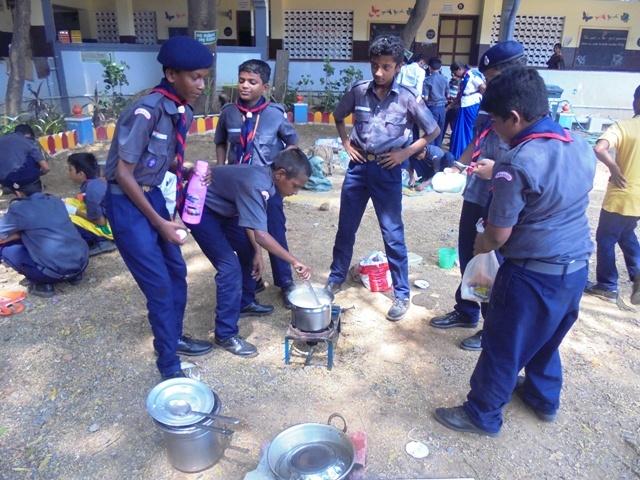 Cookery competition without fire was conducted on 06.12.2014 for both scouts and guides children. Continuous and initiative training programme is going on. 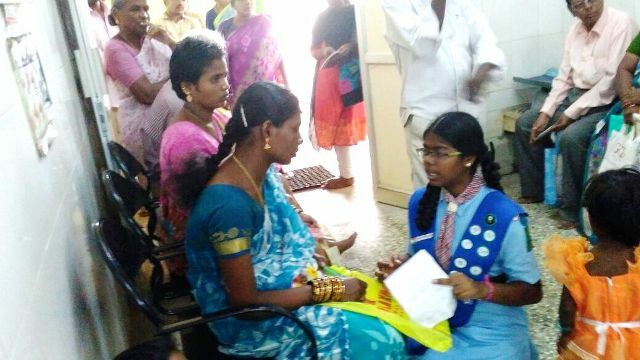 21.10.17 & 22.10.17 - two days camp was conducted in our school campus Students of VII std enthusiastically participated. 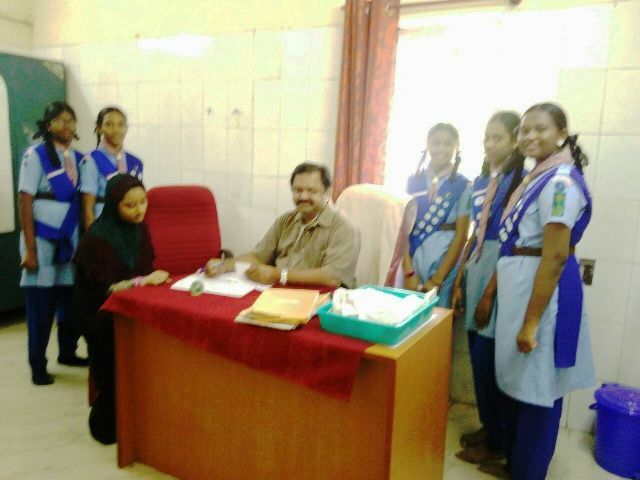 Sri.Emmanuel Raj Premchad Secretary, Ponneri District inaugurated the Scouts and Guide Camp. Many Session like Knotting, Kit Inspection was conducted. 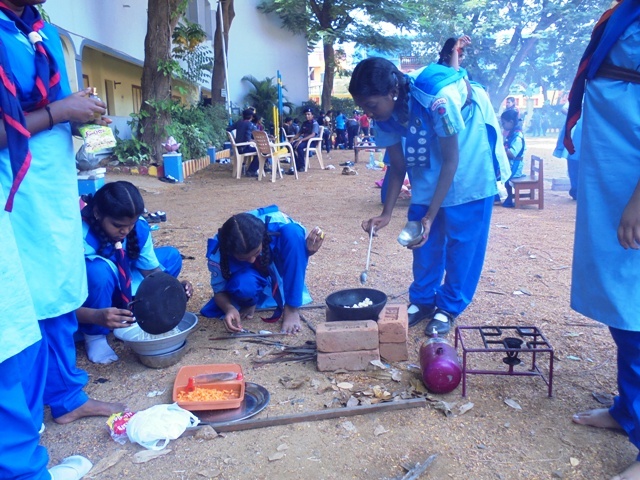 Activities like Camp Fire, Cooking with and without Fire was conducted. 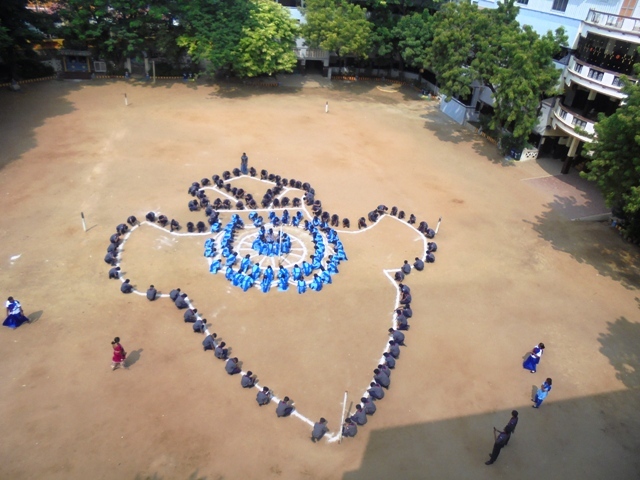 Students participated very actively. 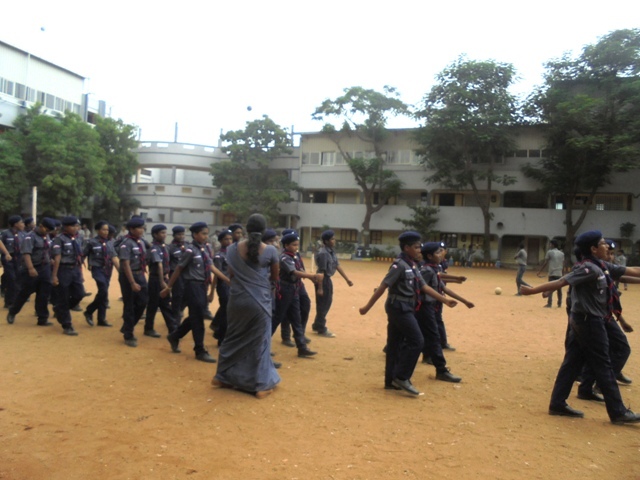 To improve the physical strength BP6 exercise were also conducted. 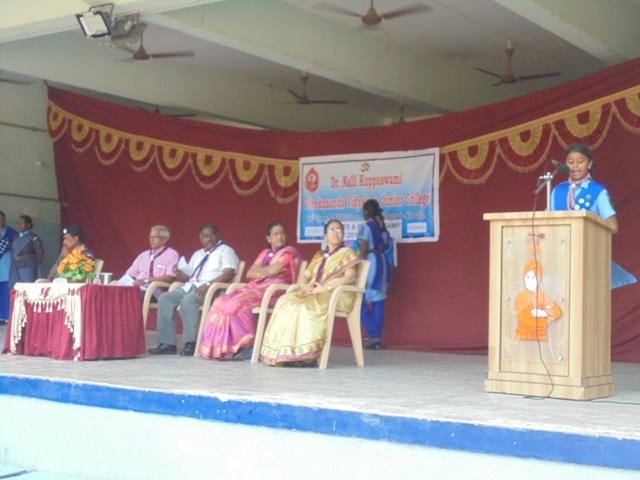 At the valedictory session students performed many cultural activities.